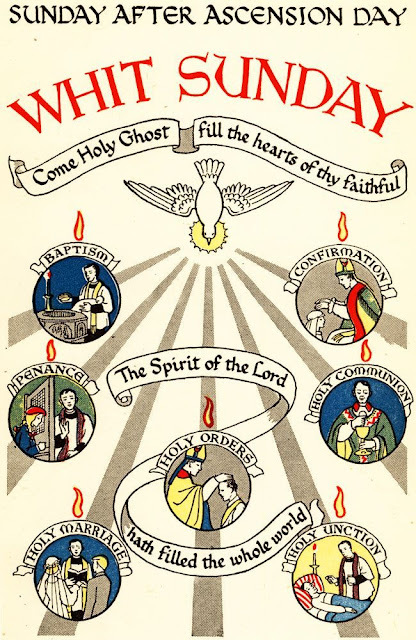 The Wednesday, Friday, and Saturday after Pentecost Sunday are known as "Whit Embertide". Traditional Catholics still observe fasting and abstinence during the Whit Embertide. These three days are one of the four occassions when Ember Days occur in the Liturgical Year. Although no longer mandatory after Vatican II, I highly encourage my readers to observe these days. In fact, many Traditional priests encourage the Faithful to observe the days. If you are in good health, please join me by fasting and abstaining from meat these days. These days are special days not only to pray for a good harvest but also pray for priestly vocations and the newly ordained. They are days of prayer, fasting, and charity. Whit Embertide for this year, 2007 AD: May 30, June 1, and June 2. According to the 1969 Calendar, today is the Feast of the Visitation of the Blessed Virgin Mary. In the Traditional Catholic Calendar like the one from 1955, May 31 is the Feast of the Queenship of Mary, a Double of the II Class. In both cases, a Marian feastday ends the Month of May, a month dedicated to the Blessed Virgin Mary. 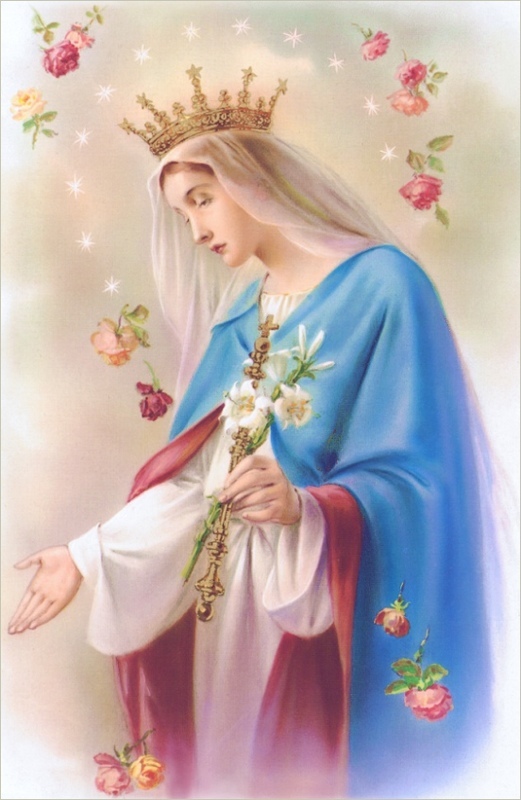 If you have forgotten to practice extra Marian devotions during May, today please try to pray the Angelus, Rosary, and/or a Marian Prayer for the Month of May. Catholic Carnival 121 is up at Just Another Day of Catholic Pondering. St. John Cantius Parish - This Chicago parish of the Society of St. John Cantius has world renown music. Please see here for a Memorial Day Prayer. Today I have finally completed Ten Prayers God Always Says Yes To by Anthony DeStefano, the author of A Travel Guide to Heaven. Honestly, I was initially apprehensive about reading this book because I thought it would be another book by a Protestant televangelist trying to tell everyone "Jesus is Lord. Believe and be saved for all your prayers to be answered." Thankfully, the book Ten Prayers God Always Says Yes To is nothing like that. Each chapter focuses on a separate prayer that God always says "yes" to. Importantly, the author also states that prayer is not magic - God will answer these prayers only if they come from the heart. The prayers covered a wide-range of topics from money and suffering to our destiny. In the book, Anthony DeStefano writes in a very simple, understandable manner and utilizes anecdotes and real-life examples. As someone that prefers theologically and philosophically complicated books, I actually found the book too simple at times. However, this book is certainly written perfectly for the average person seeking to reach God through prayer when it seems that hundreds of other prayers have gone unanswered. In addition, DeStafano incorporates hundreds of scriptural footnotes for those readers seeking to further find God through the words of Holy Scripture. One thing I also enjoyed about the book was DeStafano not only refers to Jesus as the Son of God but also as the second person of the Trinity. Such references help dispel the heresy that Jesus Christ is not divine. Below is a short summary of a few of the prayers. Read the entire book for much more information on each of the prayers. This book is published by Double Day Publishing. DeStafano cites one of the most common references to peace in the Bible. From Jesus Christ: "My peace I give to you" (John 14:27). One of my favorite parts of the book is the profound image of the Resurrection. Jesus Christ, the second person of the Blessed Trinity, took flesh to die. He suffered unimaginable pains and tortures before being condemned to death. And when Our Lord rose again in glorious splendor, He took a moment of time to roll up the burial clothes and pleace them neatly on the side. DeStafano's incorporation of this image of our peaceful Lord after His brutal Crucifixion is incredibly profound when the reader understands the pains Our Lord previously endured. As stated by the author on page 100, "Deliberate sin, by definition excludes peace." We must seek peace only through seeking to live in union with God without sin. This prayer is not necessarily instant like some of the other ones mentioned previously because the response from God depends the state of our souls. Changing our lives into one that is peace-filled can often involve an unpeaceful journey. However, as Christ said, "Do not let your hearts be troubled." As the author brillantly states, "Definition of true peace is union with God" (108). Courage is not just used to combat our fears. As defined on page 117, "Courage is the cornerstone and linchpin of the entire moral order." Statements like "Fear not" or "Do not be afraid" appear 144 times in Sacred Scripture. A couragous person is a person willing to sacrifice himself for something greater. Wisdom, one of the seven gifts of the Holy Spirit, is the ability to see the world from God's perspective. God is even identified with wisdom in Proverbs 2:6, 8:12. Another profound statement by DeStafano was when he writes, "When you ask God for wisdom, you are essentially asking him to give you the gift of Himself." But, the author also appropriately discusses that the fear of the Lord is the beginning of wisdom. Today I will attend my graduation and give the Valedictory Address. I ask for your prayers for a successful speech and a successful graduation ceremony. Update: Thank you! The speech was wonderful and I feel extremely honored. I will spend the rest of today with my family and friends. Today is the Solemnity of Pentecost. 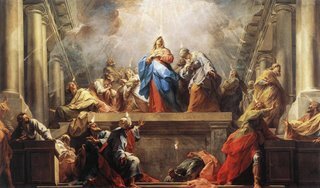 Below are some of my past posts on the topic of Pentecost. For hundreds of years, the usage of altar servers has brought about countless priestly vocations. In the words of the Archbishop of Westminster, Bernard Cardinal Griffen, "To serve at the altar, as to sing in the choir, is next to the priesthood the highest privilege which a human can enjoy. He represents the faithful and takes a most intimate part in the rich treasures of the church's liturgy and ceremonial. Those sacred ceremonies should be carried out with devotion, dignity and attention to detail." An altar server is a lay assistant to the priest during the Mass or to other members of the clergy in other religious functions including Benediction and Eucharistic Adoration. An altar server is not to be confused with an acolyte. 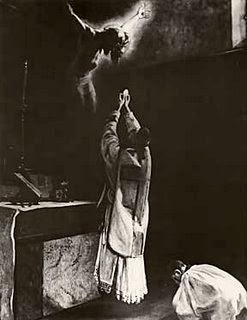 Before the Second Vatican Council, the acolyte was the highest of the minor orders, having duties including the lighting of the altar-candles, carrying the candles in procession, assisting the subdeacon and deacon, and the ministering of water and wine to the priest at Mass. 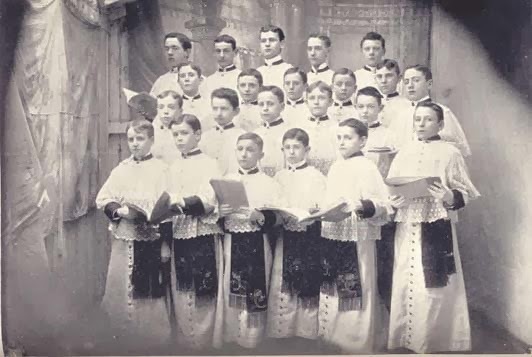 Acolytes wore either the alb or the surplice over a cassock. The order of acolyte was conferred on a seminarian at a minor ordination. After the reforms of the minor orders in 1972, the acolyte survived but became one of two lay ministries (along with that of lector) instead of an order. Today, Indult Catholic societies such as the Institute of Christ the King Sovereign Priest and the Priestly Fraternity of St. Peter are still permitted to ordain seminarians to all the minor orders, including the acolytate. Therefore, the acolyte is not to be confused with the altar server even though the altar server can do the already mentioned duties of the acolyte. In the post-Vatican II Church, an acolyte has all the responsibilities of an altar server except a few additional ones. The acolyte is also permanent extraordinary minister of Holy Communion and can also be entrusted with celebrating Exposition of the Blessed Sacrament. He is also the only lay minister who can do the purification of the vessels at Mass. Furthermore, an acolyte is given a priority to lead blessing ceremonies (Book of Blessings, Introduction, n. 18). In the absence of both a priest and deacon, the acolyte has priority to lead Sunday Celebrations (Directions for Sunday Celebrations in the Absence of a Priest, 1988, n. 30). Pope Gelasius in his ninth letter (chap. 26) to the bishops of Lucania condemned the evil practice which had been introduced of women serving the priest at the celebration of Mass. Since this abuse had spread to the Greeks, Innocent IV strictly forbade it in his letter to the bishop of Tusculum: "Women should not dare to serve at the altar; they should be altogether refused this ministry." We too have forbidden this practice in the same words in Our oft-repeated constitution Etsi Pastoralis, sect. 6, no. 21." In 1970 the Vatican condemned female altar serving in Liturgicae instaurationes as well as in 1980's Inaestimabile donum. Not until a circular letter from the Congregation for Divine Worship and the Discipline of the Sacraments to presidents of episcopal conferences on March 15, 1994, did the Vatican officially allow female altar serving. To serve at the altar as an altar server is one of the greatest sources of graces. The altar server assists the priest at the Sacred Liturgy; he is privileged to walk into the sanctuary. Remember, the Mass is the Sacrifice of Calvary. 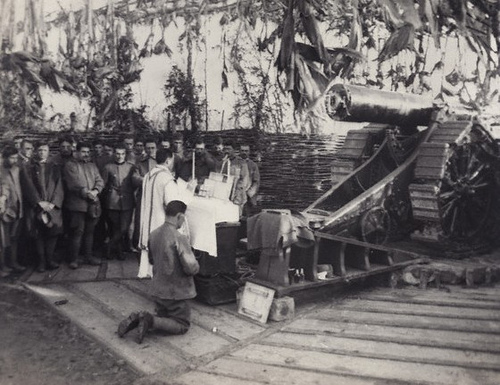 It is not a memorial but rather the Mass truly is the Sacrifice of Calvary. 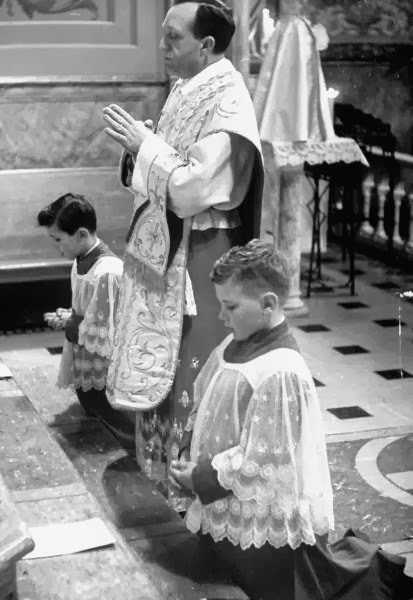 For that reason, all altar servers must display the utmost respect and reverence. For example, each and every single time that the server walks past the Tabernacle, he is to genuflect on his right knee to our Lord who is truly present in the Eucharist (GIRM 274). All altar servers must listen attentively during the Mass and should remain in a state of prayer with their hands in a prayer position. Talking amongst each other is absolutely forbidden. Likewise, all altar servers should wear proper shoes and never flip-flops, sandals, boots, or gym shoes. An altar servers must also learn the proper name to all of the items used during the Liturgy. Such items are listed at the bottom of the webpage of the Altar Server Manual. 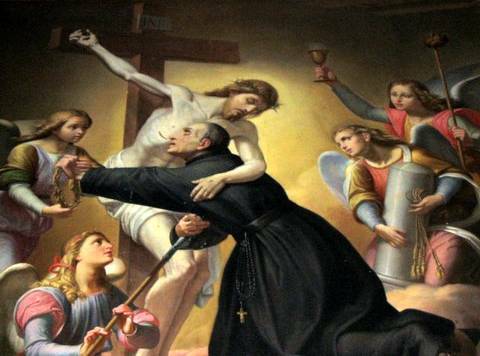 Altar Servers must ensure that no particle of Our Lord's Body or Blood falls to the ground. With the use of the paten, altar servers perform an extremely important sacred ministry. They must ensure that no particle of the Eucharist is desecrated accidentally at any portion during the Mass. Furthermore, altar servers must know the basic prayers of the Mass at least in the vernacular and perhaps some of them in Latin. The altar server must have a basic understanding of the Catholic Faith and understand the Sacraments, especially the Eucharist. Traditionally, lay people including altar servers were also forbidden to touch the sacred vessels including the Chalice. If they had to touch the paten they would hold it with a purificator. Likewise, they were only to carry the Chalice by touching the chalice veil covering it. It is a still a pious practice and one that I support. To all altar servers, please take these suggestions to heart. I strongly suggest you read the words expressed on the article Advice for Altar Servers. Remember, as an altar server, you stand next to the priest who stands at the Cross of Calvary. At the Consecration, you stand near the altar on which the Bread and Wine become Jesus Christ. You should humble yourself and bow your head before the power of God. You are assisting at the Holy of Holies. Display reverence and worship Our God. Undoubtedly, altar servers receive countless blessings from Almighty God from serving devoutly at Mass. Even attending Holy Mass is the source of numerous graces. It is certainly more grace-filled for altar servers. Heavenly Father, we ask your blessing upon us, that we may serve at your altar with reverence, attention, and love, in order to draw others to do the same. We ask this through Christ our Lord. Amen. who will restore my inheritance. iustitia et sanctitate veritatis. Amen. and the holiness of truth. Amen. How to Serve the Latin Mass by Rev. H.E. Calnan, D.D. Please say a prayer for the repose of the soul of the grandfather of the blogger at Faith and Country, whose name was Nicholas Colaianni. He died at 2:30 PM on May 24, 2007. Please also pray for the repose of the soul of Kathy. I'm passing this on to any readers that may be interested in attending the retreat with the Brothers of St. John. If you know someone that may be interested in the retreat, please pass this message on to them. The time is drawing nearer for the Summer Session with the Brothers of St. John. We know that many of you are interested in coming! Great! Please spread the word by forwarding this e-mail, and please let me know BEFORE MAY 28TH if you can come, or are thinking about coming, even if you are not sure! The Summer Session will begin with having the participants arrive at 2 p.m. on June 6th. It is comprised of four elements: the hiking/camping trip; the Philosophy Session; the Theology Session; and the Silent Retreat. Participants may participate in any of the above activities, or two of them, or three of them. We simply need to know in advance in order to organize our guesthouse. The hiking trip will be fun but also a good work out! I have not yet scouted out the course, but it should pulse through the beautfiul hills of Wisconsin. We will be sleeping in tents and sleeping bags in parks along the way. (We can supply them for those who cannot bring them by plane. If you can bring them with you, though, all the better!) Please bring boots, rain gear, sunscreen, hats, water bottles (large), a Rosary, and any other camping gear you think of. Please let me know if you can bring anything which we all can use -- I am thinking especially of things for cooking. We will leave Wednesday afternoon to drive to our destination and set up camp. From there, we will start our hike on Thursday morning, and hike all day Thursday and Friday and most of the day Saturday. The hike will be a good work out! Be ready for it! We will have Mass, Adoration, and the Offices every day. The rest of the day will be spent in "God's Cathedral" of nature! Sounds like Heaven! After we return to Princeville Saturday night, we will have the chance to rest all day Sunday, celebrating the Feast of Corpus Christi with the Brothers and Sisters in Princveille. Sunday night begins the Philosophy Session, taught by Brother Nathan. We hope to have three Philosophy Classes per day on the theme of art and contemplation, with a conference a little more spiritual in nature in the evenings after dinner. The rest of the day will be structured by the prayer of the Offices and Mass with the Brothers, and a variety of things in the afternoons, varying from free-time to fun activities (like sports, walks, art and culture, etc) to work projects with the Brothers and Sisters. At night, we will have campfires, music, and time to relax together. We also hope to invite local artists and musicians to come for a few evenings per week to share their art with us. These evenings will be open to the young adults in the area to come and join us. The session will run through Friday night. Saturday, the 16th, we will have a hike together in the woods nearby, and spend a day of recreation. Sunday, the 17th will be celebrated with the Community of the Brothers and Sisters, in the calm repose of the Day of the Lord. On the evening of the 17th, will begin the Theology Session. 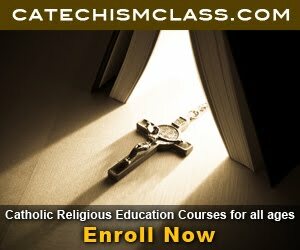 This Theology session, taught by Father Joseph Mary, will mirror the Philosophy Session in schedule, and will be based a lot on the Summa of St. Thomas Aquinas. (If you have a copy, please bring it, along with your Bible.) There will also be certain evenings for an "evening program" just as there will be during the week of Philosophy. After another exhilarating weekend of hiking and rest, on the evening of Sunday, June 24th, a retreat will begin: a silent retreat on the Gospel of St. John. The retreat will be preached by Father Antoine Thomas (and perhaps another Brother), and will include three meditations per day on the Christian life flowing from the Gospel of St. John. Free time for personal prayer and study, time for solitary Eucharistic adoration every afternoon, spiritual direction and confession, and the liturgical prayer of the Brothers and Sisters will provide the perfect opportunity to go "into the deep waters" of John's contemplation of Christ Crucified and Glorified. The retreat will close on Sunday, July 1st, after lunch. The retreat will be entirely in silence, to afford each of the participants the opportunity to discover the unique choice and bond of love between their hearts and the hearts of Jesus and Mary. The cost for the whole session is only $350! If you would like to come to any one of the parts, the price is $150 for each of the three main parts: the hike, one or both of the two-week sessions, and the retreat. Obviously, we are offering our services to you freely, out of love for Christ. If you can offer a larger donation, it would be appreciated, since we live on gifts. However, if this price is already too much for you, please just let me know and we can work something out! All in all, this summer is going to be great! Please spread the word about this session, and bring your friends! We are happy to serve you, and I stand ready to answer any questions you may have. May Mary draw the young people here who will most benefit from it. "Let the one who thirsts come forward, and the one who wants it receive the gift of life-giving water!" (Revelation 21). Below is an email that I have received and wish to pass on to my readers. In a few months I will publish a book on exorcism and deliverance by which I hope to educate the Church Militant on the reality of spiritual evil and the truth of the Church’s power against it. On this weekend where our Church celebrates Pentecost, the great Feast of the Holy Spirit, I offer an excerpt from this upcoming book to highlight the influence of the Holy Spirit in defending our cause against the accusing spirit of the devil. If we are to fight for the salvation of souls, we must know our enemy and experience God’s love as the protective shield against all his evil. There are three common names by which most people describe the font of all evil: the Devil, Satan and Lucifer; each of these names comes to English from a different language. The name “Devil” comes from the Greek word διαβολοξ (diábolos), which literally means “one who throws things around” in the sense of creating the chaos for which he is so famous. The name “Satan” comes from the Hebrew verb “to accuse” and is variously translated as “the accuser,” “the tempter,” “the persecutor,” “the calumniator” and “the adversary.” Not ironically, the Church, taking her cue from the Gospel of John, calls the Holy Spirit, “The Advocate,” (i.e., defense lawyer) in order to remind us that the depredations and accusations of our principle enemy are always met with one more powerful than he who takes our side in a fight. “Lucifer” is a name that derives from the Latin meaning “light-bearer,” commonly understood as his God-given name before he fell from grace. This name is cited in St. Jerome’s Vulgate translation of the Bible in the Book of Isaiah 14:12-16. This potent creature has always been considered by the tradition of the Church as one of the most powerful angels that God created. It is speculated that his name was “Light-Bearer” because he was a Seraphim angel, the highest order of the angelic hierarchy, and the order of angels whose Hebrew name describes something that burns with the ardor of love. Lucifer’s fall from grace did not deprive him of his natural powers but rather corrupted those powers for the perverse work of undermining God’s plan of salvation for men. Among all the many references to this wretched being in the Bible, the Book of Revelation is one of the best sources of knowledge about him and his plan to destroy God’s children. He is described in Rev 12:9 as “a huge dragon, the ancient serpent, known as the devil or Satan, the seducer of the whole world.” The devil’s most serious indictment came from our Blessed Lord who called him, “a liar and the father of lies,” and “a murderer from the beginning” (Jn 8:44). The New Testament refers to this origin of all wickedness nearly three hundred times to warn us of his presence and work. The Holy Father appointed Archbishop Terrence Thomas Prendergast S.J. 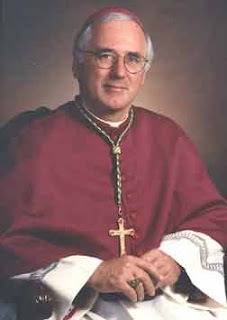 of Halifax, Canada, as metropolitan archbishop of Ottawa (area 5,818, population 859,000, Catholics 410,635, priests 239, permanent deacons 67, religious 867), Canada. He succeeds Archbishop Marcel Andre J. Gervais, whose resignation from the pastoral care of the same archdiocese, the Holy Father accepted, upon having reached the age limit. I do not know how Traditional Archbishop Prendergast is. Does anyone know anything about Archbishop Prendergast? 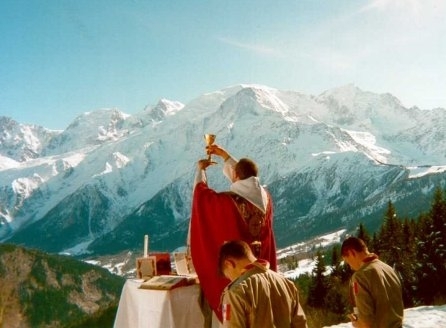 The New Liturgical Movement offers this stunning photograph and several other ones of Traditional Catholic youth in France. It appears that Amnesty International may have adopted an overall pro-abortion stance. For this and other updates see my main post: Amnesty International and Abortion. 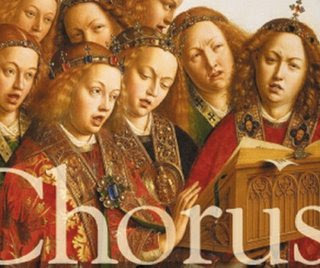 Below is an email that I found on the blog Kyrie Eleison. 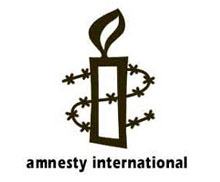 It is certainly time for us to sever our membership with Amnesty International. I must thank DilexitPrior from Letters From a Young Catholic for directing me to LibraryThing. Using the ISBN, title, author, etc you can catalogue all of your books rather quickly! This is a great website! I am spending my free time this evening by cataloging all of mine. This post will be linked to from the article Suggestions/Comments, which is listed in the sidebar. I started this post in order to create a list of possible future articles on this blog. I don't have time to write some articles immediately due to time constraints, but I want to create a list of suggestions. Just leave your suggestions in the comment box, and I will add them to the list. When the article has been written, I will link to it from this post. As most Catholics should know, the Holy Father, Pope Benedict XVI, recently visited Brazil and offered Holy Mass for the start of the 5th general Conference of Latin American and Caribbean bishops (CELAM). At the CELAM on May 16, 2007, Cardinal Castrillón Hoyos, President of the Pontifical Commission Ecclesia Dei gave the following address. I allow myself to present a brief information on the Pontifical Commission Ecclesia Dei and on the state of the pastoral reality which the Holy Father has placed under its competence. This Commission was created by the Servant of God John Paul II in 1988, when a notable group of priests, religious, and faithful, who had made manifest their discontent with the Conciliar liturgical reform and who had congregated themselves under the leadership of French Archbishop Marcel Lefebvre, separated themselves from him because they were not in agreement with the schismatic action of the ordination of Bishops without the appropriate pontifical mandate. They preferred, therefore, to stay in full union with the Church. The Holy Father, by way of the Motu Proprio Ecclesia Dei Adflicta, entrusted the pastoral care of these Traditionalist faithful to this Commission. Nowadays, the activity of the Commission is not limited to the service of those faithful who, at that time, wished to remain in full communion with the Church, nor to the efforts made to put an end to the painful schismatic situation and to attain the return of these brothers of the Saint Pius X fraternity to full communion. By the will of the Holy Father, this Dicastery extends its service, moreover, to satisfy the just aspirations of those who, due to a particular sensibility, and not having kept links to the above-mentioned groups, wish to keep alive the ancient Latin Liturgy in the celebration of the Eucharist and of the other Sacraments. Undoubtedly, the most important effort, which concerns the entire Church, is the search for an end to the schismatic action and to rebuild the full communion, without ambiguities. The Holy Father, who was for some years a member of this Commission, wishes it to become an organ of the Holy See with the proper and distinct end of preserving and maintaining the worth of the Traditional Latin Liturgy. Yet it must be said with all clarity that it is not a turning back, a return to the time before the 1970 reform. It is, instead, a generous offer of the Vicar of Christ who, as an expression of his pastoral will, wishes to put at the disposal of the whole Church all the treasures of the Latin Liturgy which for centuries has nourished the spiritual life of so many generations of Catholic faithful.The Holy Father wishes to preserve the immense spiritual, cultural, and aesthetic treasures linked to the Ancient Liturgy. The retrieval of this wealth is linked to the no less precious one of the current Liturgy of the Church. There are good experiences of communities of religious or apostolic life recently erected by the Holy See which celebrate this liturgy in peace and serenity. Groups of faithful who attend these celebrations with joy and gratitude assemble around them. The most recent establishments are the Institute of Saint Philip Neri, in Berlin, which functions as an Oratory, and which is also present, and well received, in the Diocese of Trier; the Institute of the Good Shepherd, of Bordeaux, which gathers together priests, seminarians, and faithful, some of them from the Fraternity of Saint Pius X. The proceedings for the recognition of a contemplative community, the Oasis of Jesus Priest, of Barcelona, are well advanced. In Latin America, as is well known, we must thank the Lord for the return of a whole diocese, that of Campos, Lefebvrian in the past, which now, after five years, presents good fruits. It was a peaceful return and the faithful who have enrolled themselves in the Apostolic Administration are glad to be able to live in peace in their parochial communities; furthermore, in effect, some Brazilian dioceses have made contacts with the Campos Apostolic Administration, which has placed priests at their disposal for the pastoral care of the Traditionalist faithful in their local churches. The Holy Father's project has been partly proved in Campos, where the peaceful cohabitation of the forms of the only Roman Rite in the Church is a beautiful reality. 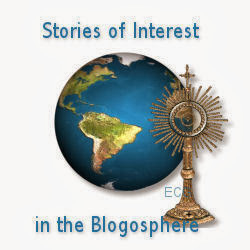 We have the hope that this model will yield good fruits, also in other places of the Church where Catholic faithful with diverse liturgical sensibilities live together. And we hope, furthermore, that this way of living together will also attract those Traditionalists which still remain far away. 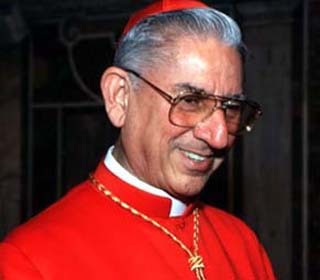 The current members of the Commission are Cardinals Julián Herranz, Jean-Pierre Ricard, William Joseph Levada, Antonio Cañizares, and Franc Rodé. Its consultants are the Undersecretaries of some Dicasteries. Several communities spread throughout the world have been up to now under Ecclesia Dei. 300 priests, 79 religious men, 300 religious women, 200 seminarians, and several hundreds of thousands of faithful. The interest of the young curiously increases in France, the United States, Brazil, Italy, Scandinavia, Australia, and China. At the moment of its return, 50 priests, around 50 seminarians, 100 religious women, and 25,000 faithful came from Campos. Today, the group of the Lefebvrians includes 4 Bishops who were ordained by Mons. 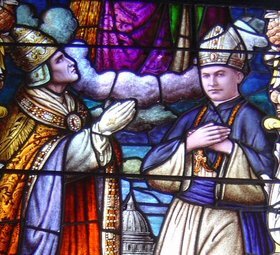 Lefebvre, 500 priests, and 600,000 faithful. Several contemplative monasteries, and some male and female religious groups have joined the group, which has parishes (they call them priories), seminaries, and associations. They are present in 26 countries. Let us ask the Lord that this project of the Holy Father may soon be accomplished for the unity of the Church. Translation from the blog of Rorate Caeli. I will not be posting much this week. I have finally reached a new point in my life. Next week I will graduate from my current school, and I am honored to be the Valedictorian. Therefore, I will be giving the Valedictory Address and I am spending time writing it. Tuesday through Thursday I am also on a spiritual retreat and will not have access to the Internet. I am excited as the date for starting seminary is slowly advancing. Consequently, I will not be able to blog very frequently during this week. I'm sure that you, my readers, understand. Thanks. 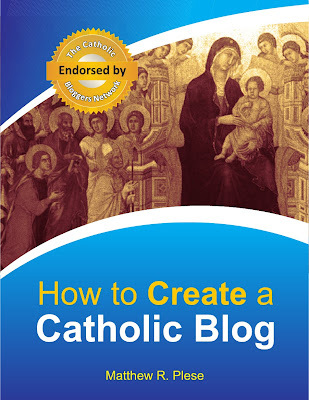 Last year in January 2006 I wrote a post entitled Catholic Exam. After keeping notes from the RCIA class that I attended years ago, I decided to write up a review of the class with a 130 question quiz. Finally, through the genorsity and kindness of one of my readers, I am at last able to post the answers to that Exam on my blog. 1. What are the three persons who are part of the Holy Trinity? 2. What Language was the Old Testament written in? The entire Old Testament was written in classical Hebrew except for some brief portions, which were written in ancient Aramaic. 3. What Language was the New Testament written in? The New Testament was probably written in Greek, though some may have first been written in ancient Aramaic. 4. Name the 12 fruits of the Holy Spirit. 6. What is the difference between Mortal and Venial sin? Mortal sin-must be of grave matter, full knowledge and full consent. Venial sin are slight sins taht do not break our friendship with God; although they injure it, they involve disobedience of the law of God in slight. 7. Recite the Our Father. Our Father, who art in heaven, hallowed be thy name thy kingdom come, thy will be done, on earth as it is in heaven, give us this day our daily bread, and forgive us our trespasses, as we forgive those who trespass against us, and lead us not into temptation but deliver us from evil. Amen. 8. Recite the Hail Mary. Hail Mary, full of grace, the Lord is with thee. Blessed art thou among women, and blessed is the fruit of thy womb Jesus. Holy Mary, mother of God, pray for us sinners now, and at the hour of our death. Amen. 9. What are Christ's two natures? 10. What is the Original sin? It is a sin, which is contracted and not committed, a state and not an act. The sin that Adam committed, a consequence of this first sin, the hereditary stain with which we are born on account of our origin or descent from Adam. 11. How can it be washed away? 12. In the Old Testament name one event, which symbolized baptism-freeing people. Moses' crossing the dead Sea, freeing the children of Abraham from the slavery of Pharaoh through the waters of the red sea to be an image of the people set free in baptism. Also, Noah being brought through the Great Flood symbolized baptism. 13. Name the Precepts of the church. A.) You shall obtain mass on Sunday and Holy days of Obligation. B.) You shall confess your sins at least once a year. C.) You shall humbly receive your creator in Holy Communion at least during Easter season. D.) You shall keep holy the Holy days of Obligation. E.) You shall observe the prescribed days of fasting and abstinence. F.) You shall help to provide the needs of the church each to his own ability. Obligation to observe the church regulations on marriage, a priest must officiate at their marriage, a Catholic who marries without observing the proper form is not eligible to receive Holy Communion. 14. What is the name given to the first 5 books of the Old Testament? 15. How did St. Paul convert to the faith? On the road to Damascus at midday light shown down suddenly from heaven encompassing Saul; he heard Jesus Christ's voice: "Saul, Saul why perseatest thou me?" St. Paul was a man who hated Christ and all Christians until this encounter. Capitulated in front of the living God, Jesus told him to go into Damascus and there he would be told what to do. Paul became blind and did not eat or drink for 3 days. In Damascus the Lord sent a disciple called Anansas to him who restored his vision, filled him with the Holy Spirit, and baptized him after his conversion. (He then began to preach about Jesus in the synagogues, in Damascus, the Jews wanted to kill him but he escaped with the help of some Christians who lowered him in a basket from the top of the city wall. 16. Who were Abraham, Isaac and Jacob? They were known as the patriarchs, they are both the physical and spiritual ancestors of Judaism. 17. Who was Joseph from the book of Genesis? 18. What is the difference between the Ascension and the Assumption? Ascension - The elevation of Christ into heaven by his own power in the Presence of his disciples the 40th day after the resurrection. Assumption - A religious act of the taking up of Mary into heaven. 19. How many days after his death did Christ rise? 3 Days (In the Jewish Tradition of counting days even part of a day counted as a day. Therefore, when Christ died on Good Friday that counted as a day even though He died in the afternoon. Saturday counted as the 2nd day. Sunday, even though Christ rose during the morning, still counts as a day because Christ was still in the tomb for part of the day). 20. How many days after the resurrection did He ascend? 21. How many days after the Ascension did the Holy Spirit descend? 22. What is this day called? 23. In Genesis there were 2 trees name and describe both. The tree of Knowledge of good and evil - Ideas pleasing to oneself. 24. How many books are in the Protestant bible of the Old Testament? How Many additional in the Catholic bible? 25. What city was Christ born in? 26. In what city did He die? 27. What does the name Peter mean? 28. To what country did Joseph and Mary take the infant Jesus to so that Herod could not kill him. 29. In what city in Galilee did Jesus live most of His human life? 30. In what city did Christ die? 31. What is Palm Sunday? It is the beginning of Holy Week, Jesus triumphant entry into Jerusalem on a donkey. 32. What is Good Friday? day of the year for the Church. It is a day of abstience, fasting, and penance. 33. What is the name of the hill where Christ died? The hill of Calvary in Jerusalem. 34. In what city did Jesus Christ perform His first public miracle? 35. From what building did Christ drive out the moneychangers? 36. From what mount did Christ ascend into heaven and from what mount will He stand on the day of his return? 37. What was the name of the river the Jesus Christ was baptized in? 38. Who baptized Jesus Christ? 39. What is the purpose of a guardian angel? To keep us from harm. 40. Can someone after they die become an angel? If not can they become a Saint? An angel is a pure spirit created by God, employed by God as the ministers of his will (messengers). Evil spirits who roam throughout the world seeking the ruin of souls. 43. If someone's body is still preserved years after death what are they known as? Incorrupt - preserved from decomposition. 44. Was Jesus Christ forced to die? No, He gave up his life freely for our salvation, and the forgiveness of our sins. 45. Did Christ have to die for our salvation? 46. Who turned Christ into the Romans? 47. The Jews told Christ "We have no king but ___________________"
Caesar, who was the Emperor of Rome. 48. What 3 gifts did the 3 wise men bring? 49. What is the feast celebrated on January 6th (the day the 3 wise men came to Christ)? 50. Who is the most popular saint of all time? 51. Who is the most popular saint of modern time? 52. What is the type of prayer called when you pray it nine days in a row? 53. Christ died on what day? 54. He rose on what day? 55. Name the 7 capital sins. 56. Name the 10 Commandments? 2.) Thou shalt not take the name of the Lord thy God in vain. 3.) Remember to keep holy the Sabbath day. 4.) Honor thy father and thy mother. 6.) Thou shalt not commit adultery. 7.) Thou shalt not steal. 8.) Thou shalt not bare false witness against thy neighbor. 9.) Thou shalt not covet thy neighbor's wife. 10.) Thou shalt not covet thy neighbor's goods. 57. Who were the 10 Commandments presented to? 58. Moses parted what sea? 59. True or False: Peter walked on Water? Jesus ordered him to walk on water. 61. True or False: Paul was one of the original disciples? 62. Name the 12 original disciples. 63. What disciple turned Christ into the Romans? 64. Under what Roman governor was Christ crucified? 65. What was the place that Christ was arrested at? 66. Money can be a false god: true or false? 67. What are the 4 gospels? 68. When did Christ first institute the Eucharist? 69. The arrival of the wise men symbolized what? The revealing of Jesus Christ to the whole world (Epiphany) marks the arrival of the three wise men at Jesus' birthplace. It symbolized the later acceptance of the Gentiles. 70. Recite a Glory be. beginning and now and ever shall be world without end. Amen. 71. Who was Francis of Assisi? He was the patron Saint of animals and ecology. A Roman Catholic Saint who took the gospel literally by following all Jesus said and did. He bore the stigmata two years before his death at the age of 44. 72. What two additional commandments did Christ mention in the New Testament? 1.) You shall love you God with all your heart and all your soul and all your mind. 73. What does testament mean? 74. Why are there four different gospels instead of one? To give a more complete picture of Jesus Christ, in having 4 different and yet accurate accounts of Christ you have different aspects of his person and his mission. 76. Name at least two prophets. 77. What is a Martyr, and why are they symbolized in art? A person who is put to death or endures suffering because of a belief, Principle or cause. Catholic artistic tradition assigns the saints particular symbols that reveal the saint's martyrdom, miracles or circumstances of their lives. Symbols serve in identifying the saints; for example, martyrs are frequently depicted with palms because of their purity. A saint's life and actions are symbols of spiritual ideas. 78. What does it take to be a Saint? Proof of 1 miracle for beatification (level below a Saint), 2 more for Canonization. Good works, miracles not until 5 years after your death. A declaration by the Pope that a person a martyr practiced Christian Virtue to a heroic degree is in heaven and is worthy of honor. To be a saint simply means that the person is in Heaven. There are certainly millions of saints who have never been officially canonized. 79. Canonization is the term for what? 80. Most of the books of the bible were written by the end of what century? 81. Jesus tells us His church will be guided by what? False - "Ye shall not make any cuttings in you flesh for the dead nor imprint any markings upon you. I am the Lord." 83. Is contraception, in vitro fertilization, and artificial insemination a sin? 84. The Great Flood lasted how many days? 85. Did Noah first send out a raven or a dove? 86. What did God tell Noah the rainbow meant? God told Noah the rainbow was a promise that never again would there be a flood to destroy the earth. The rainbow is a sign of that promise. 87. What is the name of the mount where the ark came to rest? 88. How many people were on Noah's ark during the flood? 89. What did God tell Noah the rainbow meant? 90. Who replaced Judas Iscariot? 91. At what place was Jesus Christ arrested? 92. Who wrote most of the Epistles of the New Testament? 93. True or False: there was a gospel of Mary and James, if yes were they ever part of the Bible? 94. What are the 7 corporal works of mercy? 95. Who were the 4 major prophets? 96. Lent has three parts to prepare ourselves for Christ�s Resurrection at Easter, what are they as stated in Matthew 6:1-6, 16-18. 1.) Beware of practicing your piety before men in order to be seen by them for then you will have no reward from your father who is in heaven. Do in the synagogues and in the streets that they may be praised by man I say to you they have received their reward. 3.) But when you give alms, do not let your left hand know what your right hand is doing. 4.) So that your alms may be in secret and your Father who sees in secret will reward you. 5.) And when you pray you must not be like the hypocrites for they love to stand and pray in the synagogues and at the street corners that they may be seen by man truly I say to you they have received their reward. 97. What was the split between the Eastern Church and western church in 1054 called? 98. What is Mary's promise to anyone who wears a brown Scapular? Who ever dies wearing the scapular shall not suffer eternal fire. 99. What are the two parts of the Mass? 1.) The Liturgy of the word. 2.) The Liturgy of the Eucharist. 100. Recite the Nicene Creed. We believe in on God, the Father almighty, Creator of Heaven and Earth, of all that is seen and unseen, we believe in one Lord Jesus Christ, the only son of God, eternally begotten of the Father, God from God, light from light, true God from true God, begotten not made one being with the Father, through him all things were made, for us and for our salvation he came down from Heaven by the power of the Holy Spirit, He became incarnate from the Virgin Mary and was made man, for our sake, he was crucified under Pontius Pilot, He suffered death and was buried, on the third day he rose Again in accordance with the scriptures, He ascended into Heaven and is seated at the right hand of the Father, He will come again in Glory to judge The living and the dead, and his kingdom will have no end, we believe in the Holy Spirit, the Lord, the giver of life, who proceeds from the Father and the Son, with the Father and the Son, He is worshipped and glorified, He has spoken through the prophets, we believe in one Holy Catholic and Apostolic church, we acknowledge one baptism for the forgiveness of sins, we look for the resurrection of the dead, and the life of the world to come, Amen. 101. Why do we genuflect? To humble ourselves and show respect. We are to genuflect to the Tabernacle on the right knee. We are to genuflect to the pope, if we are in his presence, on the left knee. 102. Why do we make the sign of the cross upon entering the church (2 reasons)? 103. What is the greatest Commandment? Thou shall love the Lord thy God with all your heart, with all your soul, andall your mind. 104. Movement towards unity of all Christians is called? Ecumenism: There can be some problems with this movement at times because the Faith can easily be watered down. 105. Who was the first person to see Christ after the resurrection? 106. What is the beginning of wisdom? 107. What is the difference of tradition and Tradition? Lowercase "tradition" are customs of man but uppercase "Tradition" is the revelation of God. 108. What personal friend of our Lord was raised up from the dead by Jesus? 109. What is the Mass? How is it a sacred meal, a sacrifice? The mass is the perpetuation of the sacrifice of the cross in the sense that it offers Jesus to God and thus commemorates the sacrifice of the cross, reenacts symbolically and mystically, and applies the fruits of Christ's death upon the cross to individual human souls. All the efficacy of the mass is derived therefore from the sacrifice of Calvary. At the Mass, we are essentially at the Cross of Calvary. Separate consecration of the bread and of the wine symbolizes the separation of the body and the blood of Christ and these symbolize his death upon the cross. 110. When do we genuflect on both knees in the church? At the altar repose, and to adore the Blessed Sacrament when it is exposed like during Eucharistic Adoration or Benediction in a monstrance. 111. Name two times we perform a profound bow in church? 1.) During the Liturgy of the Hours when we pray "Glory be to the Father... Holy Spirit"
2.) In the Nicene Creed at the words "by the power of the Holy Spirit". 112. What is the purpose of Ash Wednesday? To address sin and death, to show humility and penance. 113. What is the seal of the sacrament of reconciliation? A sacred bond, the priest cannot divulge anything about the confession or that it took place, the punishment for a priest who breaks the seal is Excommunication. 114. Who was the first Martyr? Why was he murdered? Saint Stephen, for citing the passages that were ample evidence out of the mouths of the ancient prophets of God that a Savior would be murdered and the Savior was among them even now in the person of Jesus Christ, the son of God, who is also God Himself. St. Stephen was then stoned to death. 115. Whose tomb was Christ buried in? 116. What is Genesis 3:19? On what day do we hear these words? 117. Describe each day and it's meaning in Holy Week. A.) Palm Sunday - The day Jesus entered the city of Jerusalem on a donkeywhile the people of the city laid palm leaves before him as he entered. B.) Holy Thursday - The day of the Last Supper and the day when Jesus was betrayed by Judas and handed over to the Sanhedrin. C.) Good Friday - The day when Jesus was Crucified, died and was buried. 118. What is the Translation of the Gospel? A written communication in a second language having the same meaning as the written communication as the first language. 119. What do the initials INRI above Christ's head stand for? 120. Name the 7 Capital sins? 121. Who turned Christ into the Romans? 122. What is the difference between the Visitation and the Annunciation? A.) The visitation was when Mary went to go visit her cousin Elizabeth. B.) The Annunciation is the revelation by the Angel Gabriel that she would conceive a child by the Holy Spirit to be born the son of God. 123. What is the Transfiguration, where was it, and what does it mean? Jesus was transfigured to show his power and glory to his disciples, at Mount Tabor. It means that the inner circle of his disciples could gain a greater understanding of who Jesus was. Christ underwent a dramatic change in appearance in order that the disciples could behold him in his glory. 124. Early Christians used the word mysteries to describe what? Religious teachings that were carefully guarded from the knowledge of the profane. 125. What is the magestarium? The teaching authority of the church. 126. What is the last communion a person receives called? 127. What does a priest take communion in to the sick? 128. What is the white garment over a funeral coffin called? 129. Which Pope conveyed Vatican II? Pope John XXIII opened the Council. Paul VI brought the second Vatican to completion in 1965 and directed the implimation of it's goals till his death in 1978. 130. What Roman Emperor legalized Christianity in 313 A.D.? 2. A Plenary indulgence, if they take part in at least five of the exercises; and moreover go to confession, and receive Holy Communion and pray for the Holy Father's intentions. From Thy clear celestial height. Only one thing is important - eternal salvation. Only one thing, therefore, is to be feared - sin. Sin is the result of ignorance, weakness, and indifference. The Holy Ghost is the Spirit of Light, of Strength, and of Love. With His sevenfold gifts He enlightens the mind, strengthens the will, and inflames the heart with love of God. To ensure our salvation we ought to invoke the Divine Spirit daily, for "The Spirit helpeth our infirmity. We know not what we should pray for as we ought. But the Spirit Himself asketh for us." Almighty and eternal God, Who has vouchsafed to regenerate us by water and the Holy Ghost, and hast given us forgiveness of all sins, vouchsafe to send forth from heaven upon us Thy sevenfold Spirit, the Spirit of Wisdom and Understanding, the Spirit of Counsel and Fortitude, the Spirit of Knowledge and Piety, and fill us with the Spirit of Holy Fear. Amen. On my knees before the great multitude of heavenly witnesses, I offer myself, soul and body, to Thee, Eternal Spirit of God. I adore the brightness of Thy purity, the unerring keenness of Thy justice, and the might of Thy love. Thou art the Strength and Light of my soul. In Thee I live and move and am. I desire never to grieve Thee by unfaithfulness to grace, and I pray with all my heart to be kept from the smallest sin against Thee. Mercifully guard my every thought and grant that I may always watch for Thy light, and listen to Thy voice, and follow Thy gracious inspirations. I cling to Thee and give myself to Thee and ask Thee, by Thy compassion, to watch over me in my weakness. Holding the pierced Feet of Jesus, and looking at His five wounds, and trusting in His Precious Blood, and adoring His opened side and stricken Heart, I implore Thee, Adorable Spirit, Helper of my infirmity, so to keep me in Thy grace that I may never sin against Thee. Give me grace, O Holy Ghost, Spirit of the Father and the Son, to say to Thee always and everywhere, "Speak Lord, for Thy servant heareth." Amen. O Lord Jesus Christ Who, before ascending into heaven, didst promise to send the Holy Ghost to finish Thy work in the souls of Thy Apostles and Disciples, deign to grant the same Holy Spirit to me that He may perfect in my soul the work of Thy grace and Thy love. Grant me the Spirit of Wisdom that I may despise the perishable things of this world and aspire only after the things that are eternal; the Spirit of Understanding to enlighten my mind with the light of Thy divine truth; the Spirit of Counsel that I may ever choose the surest way of pleasing God and gaining heaven; the Spirit of Fortitude that I may bear my cross with Thee and that I may overcome with courage all the obstacles that oppose my salvation; the Spirit of Knowledge that I may know God and know myself and grow perfect in the science of the Saints; the Spirit of Piety that I may find the service of God sweet and amiable; the Spirit of Fear that I may be filled with a loving reverence towards God and may dread in any way to displease Him. Mark me, dear Lord, with the sign of Thy true disciples and animate me in all things with Thy Spirit. Amen. wisdom, detaching us from the worldly pleasures that could in any way separate us from God. "They that fear the Lord will prepare their hearts, and in His sight will sanctify their souls." Come, O blessed Spirit of Holy Fear, penetrate my inmost heart, that I may set Thee, my Lord and God, before my face forever, help me to shun all things that can offend Thee, and make me worthy to appear before the pure eyes of Thy Divine Majesty in heaven, where Thou livest and reignest in the unity of the ever Blessed Trinity, God, world without end. Amen. By the gift of Fortitude the soul is strengthened against natural fear, and supported to the end in the performance of duty. Fortitude imparts to the will an impulse and energy which move it to undertake without hesitancy the most arduous tasks, to face dangers, to trample under foot human respect, and to endure without complaint the slow martyrdom of even lifelong rribulation. "He that shall persevere unto the end, he shall be saved." Come, O Blessed Spirit of Fortitude uphold my soul in time of troubles and adversity, sustain my efforts after holiness, strengthen my weakness, give me courage against all the assaults of my enemies, that I may never be overcome and separated from Thee, my God and greatest Good. Amen. The gift of Knowledge enables the soul to evaluate created things at their true worth - in their relation to God. Knowledge unmasks the pretense of creatures, reveals their emptiness, and points out their only true purpose as instruments in the service of God. It shows us the loving care of God even in adversity, and directs us to glorify Him in every circumstance of life. Guided by its light, we put first things first, and prize the friendship of God beyond all else. "Knowledge is a fountain of life to him that possesseth it." life that bears eloquent testimony to the faith that is in us; we begin to "walk worthy of God in all things pleasing, and increasing in the knowledge of God." Come, O Spirit of Understanding, and enlighten our minds, that we may know and believe all the mysteries of salvation; and may merit at last to see the eternal light of Thy Light; and in the light of glory to have a clear vision of Thee and the Father and the Son. Amen. The gift of Counsel endows the soul with supernatural prudence, enabling it to judge promptly and rightly what must be done, especially in difficult circumstances. Counsel applies the principles furnished by Knowledge and Understanding to the innumerable concrete cases that confront us in the course of our daily duty as parents, teachers, public servants, and Christian citizens. Counsel is supernatural common sense, a priceless treasure in the quest of salvation. "Above all things, pray to the Most High, that He may direct thy way in truth." Embodying all the other gifts, as charity embraces all the other virtues, Wisdom is the most perfect of the gifts. Of Wisdom it is written "all good things come to me with her, and innumerable riches through her hands." It is the gift of Wisdom that strengthens our faith, fortifies hope, perfects charity, and promotes the practice of virtue in the highest degree. Wisdom enlightens the mind to discern and relish things divine, in the appreciation of which earthly joys lose their savor, whilst the Cross of Christ yields a divine sweetness according to the words of the Savior: "Take up thy cross and follow me, for my yoke is sweet and my burden light." The gifts of the Holy Ghost perfect the supernatural virtues by enabling us to practice them with greater docility to divine inspiration. As we grow in the knowledge and love of God under the direction of the Holy Ghost, our service becomes more sincere and generous, the practice of virtue becomes more perfect. Such acts of virtue leave the heart filled with joy and consolation and are known as Fruits of the Holy Ghost. These Fruits in turn render the practice of virtue more attractive and become a powerful incentive for still greater efforts in the service of God, to serve Whom is to reign. Come, O Divine Spirit, fill my heart with Thy heavenly fruits, Thy charity, joy, peace, patience, benignity, goodness, faith, mildness, and temperance, that I may never weary on the service of God, but by continued faithful submission to Thy inspiration may merit to be united eternally with Thee in the love of the Father and the Son. Amen. 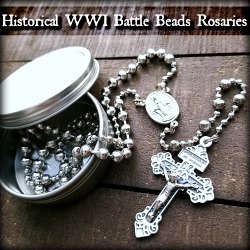 Before today, I never knew that Roman Catholics were persecuted extensively in Hawaii. Read more on the topic! Image: Bishop Stephen Alencastre who was the fifth Vicar Apostolic of the Hawaiian Islands. The statement was signed by Catholic Representatives Rosa L. DeLauro (CT-3), Joe Baca (CA-43), Tim Bishop (NY-1), Joe Courtney (CT-2), Anna Eshoo (CA-14), Maurice Hinchey, (NY-22), Patrick Kennedy (RI-1), James Langevin (RI-2), John Larson (CT-1), Carolyn McCarthy (NY-4), Betty McCollum (MN-4), Jim Moran (VA-8), Bill Pascrell (NJ-8), Tim Ryan (OH-17), Linda Sanchez (CA-39), José Serrano (NY -16), Hilda Solis (CA-32), and Mike Thompson (CA-1).